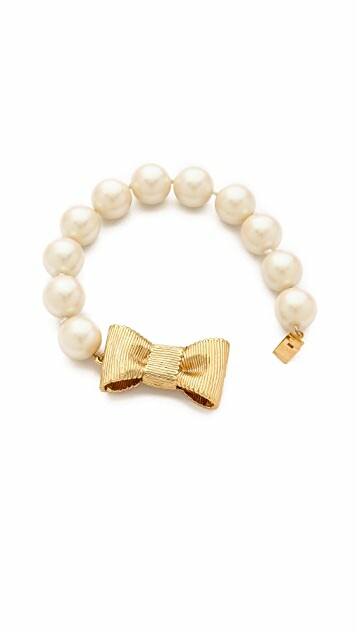 A textured bow joins imitation pearls on a preppy-sweet Kate Spade New York bracelet. Box clasp. I bought this bracelet as a gift to a friend and it is gorgeous. 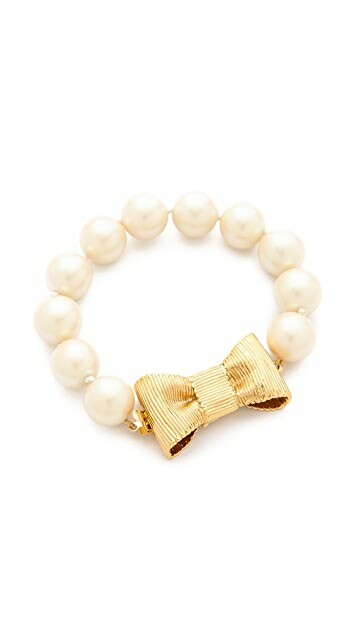 The beads and bow are oversized which gives it a modern twist. Unfortunately it is quite large and did not fit my friend's wrist (which seems pretty average to me).